Granted, Austen did not live in London but her brother did and this allowed Jane to take advantage of London’s shopping! You could do the same. 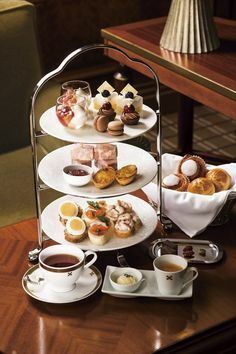 Denise LeCroy, the tour’s director, having lived and worked in London herself, has designed an eight-day tour incorporating many elements of the tea culture and history one can only find in London. Be sure to check out her brief or detailed itineraries, even if you can only imagine taking part at this point. 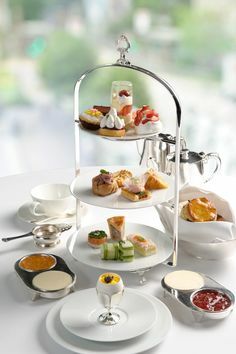 If nothing else, you’ll catch a glimpse of the best Britain offers for the lover of afternoon tea. 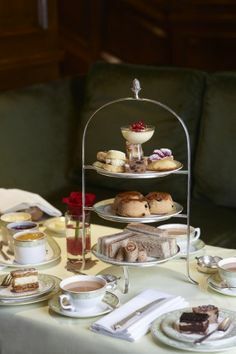 If, like me, a Tea in London Tour seems like a farther off dream than next March, consider consoling yourself with a pot of tea and a book that transports you there in your mind. Today in Northern California, the rain pours down, and a tea order with four new samples just arrived in the mail. My radio is tuned to the classical public radio station. The fire burns downstairs and my fingers look for a treasure to pull off the shelf. While I heartily recommend Austen’s novels, of course (and if you’re wanting something daring and more modern there’s always The Jane Austen Book Club. I don’t recommend it for those whose moral sensibilities appreciate the 19th century more), the book Tea with Jane Austen is a enjoyable escape into Regency culture for a day. History, tea, and recipe lovers will all find something to love in Wilson’s exploration of tea and Jane. I personally enjoy the quotes throughout of tea-related scenes from Austen’s novels and her personal writings. “I could not tell whether you would be for some meat, or only a dish of tea, after your journey, or else I would have got something ready… . 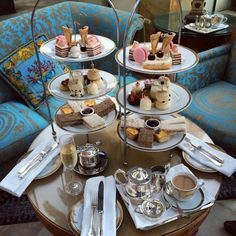 Perhaps you would like some tea, as soon as it can be got.” They both declared they should prefer it to anything. –Mrs. Price to Fanny and William in Mansfield Park. Throughout the book, the author juxtaposes recipes written 200 years ago with the modern equivalents, allowing the lover of the kitchen to experiment with the food from Austen’s time (thankfully, the butter for the pound cake no longer has to be churned first!). 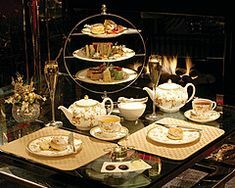 The tea lover interested in authentic Regency-themed tea would find information on what to cook, wear, and depending on how far you wanted to take it, where to make your purchases (with Mr. Wedgwood and Mr. Twinings, of course!). 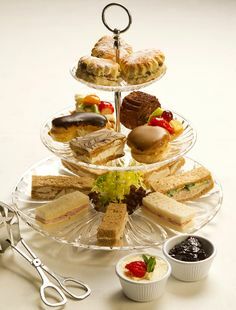 Even if you are not yet a lover of tea, but of the nineteenth century, plenty of explanations on all the walks of the upper-class, from transportation to night life and etiquette are found within Wilson’s book. I will say, however, that you will learn what an integral part of the culture tea played. So, which will it be, the book tour or the most authentic tour? I had the most wonderful chance to go on the Tea in London tour last March and I cannot recommend it highly enough! It was my 10-year-anniversary-with-my-company present to myself. 🙂 So many wonderful memories! Hi Jenny–Great blog. You have never mentioned the Jane austen Tea book–I’ll have to borrow it (if you don’t mind).